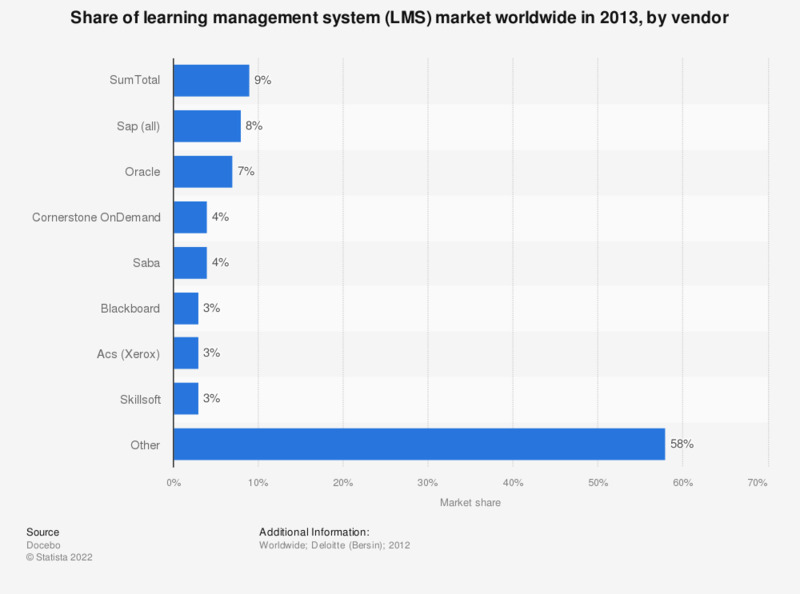 The statistic shows the market share of the leading learning management system (LMS) vendors worldwide in 2013. In 2013, SumTotal held 9 percent of the learning management system market, which was worth 2.55 billion U.S. dollars in total. What are the major obstacles you face using technology at your school?